ACT! 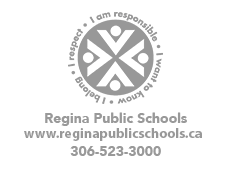 is Regina Public Schools' anti-racism, cross-cultural youth leadership program. ACT! school teams are established in elementary and high schools throughout the system. ACT! team members work to raise the global community of their schools through positive action and support of all students. This Grades 6-12 program also allows often marginalized students smooth transitions from the elementary to the high school level. The ACT! program gives students and staff the tools to take on a leadership role in their community. ACT! members work together to create respectful learning communities free from discrimination, prejudice, stereotyping and racism in the hopes of achieving equitable opportunities and outcomes for all of our students. There are two main events that the ACT! program focuses on during the school year. First is the ACT! high school training retreat which is followed by ACT! elementary day retreats. At the ACT! high school training retreat, students participate in a number of activities designed to encourage discussion around racism, discrimination, labelling, identity, culture, trust, community, reconciliation and bullying. In the following weeks, ACT! high school students and staff host ACT! elementary retreats for the schools in their area where students deliver the activities they participated in at the training retreat. All retreats are student facilitated with assistance from ACT! high school teachers providing strong leadership opportunities for students.